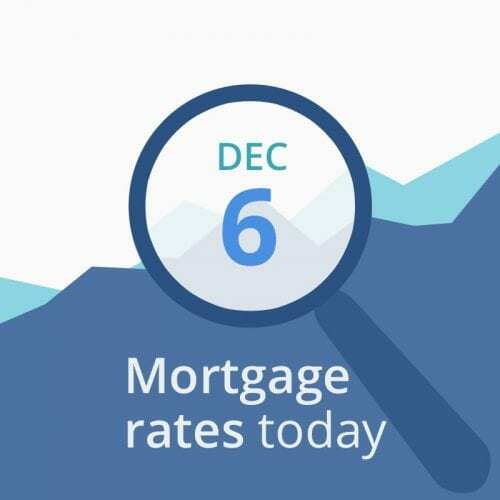 Mortgage rates today are slightly lower than they were yesterday. This morning, we have a slew of reports — the ones scheduled for Thursday as well as Wednesday’s, which were postponed in honor of yesterday’s day of mourning for our 41st president. October Factory Orders (moderate importance, predicted -2 percent), came in with fewer orders than anticipated, a 2.1 percent drop. That is good for mortgage rates. This was offset by the ISM Non-manufacturing Index, which tracks industry performance in non-manufacturing firms. It came in higher than expected. Analysts predicted a level of 59.8 and got 60.7. That’s good for the economy but not for mortgage rates. And finally, we have the ADP Employment Report. Investors watch this one for clues about tomorrow’s Employment Situation Report — the most important report for the month. This morning, payroll processing giant ADP announced that it added 179,000 jobs in November, exactly in line with the experts’ predictions. So it won’t affect today’s mortgage rates. All financial numbers point to lower mortgage rates. Mortgage rates could fall today, as all economic data point to lower rates. You may want to float another day if that will get you into a better tier (for instance, drop from a 45-day lock to a 30-day, or a 30-day into a 15-day lock). But if closing soon, current rates are attractive enough to feel good about. Keep in mind, however, that if the Employment Situation report tomorrow is unexpectedly strong, mortgage rates could spike very quickly. It’s a fear-driven market, and rates tend to rise much faster than they fall. If you can’t afford a higher rate, don’t chance floating today.